„Thank God” said Allen in Polish for goodbye. Bob wore polo, which he received from us yesterday. We run among endless cornfields and rising wind in good moods and with blessings. We run sometimes by asphalt road and sometimes by gravel road. There were plenty of cars passing by from time to time, however there were moment when there was no car in an hour. Despite the fact that we are OK physically, every kilometer, every hundred meters, every meter we hope to be the last one. In ten days, all of us run more than half-marathon every day. Now, It is tremendous exhaustion coming out. 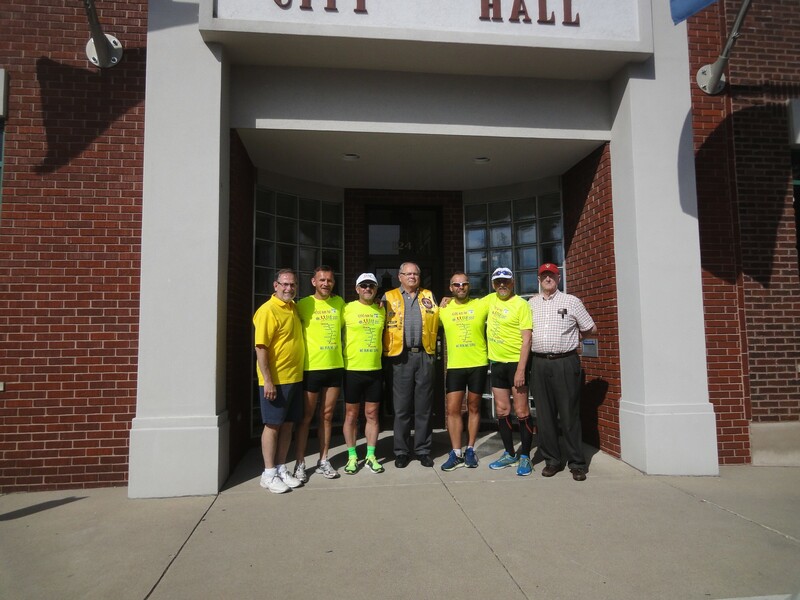 Elisha with Danny and some other Lions and Valparaiso city representatives were waiting for us near antique (for America of course) court building. Next, we run to Elisha and her big house for delicious dinner, at which accompanied us another Elisha’s and her husband’s, Ryan’s friends. Story telling would not be over, byt the guests were tired, four runners from Poland, their eyelids started to fall down at some point. It was very strange, because there was storm with thunders outside. Our thoughts were in Chicago, supposedly each of us dreamed about Chicago lying like king in bedroom. So much comfort of sleeping we did not have before.